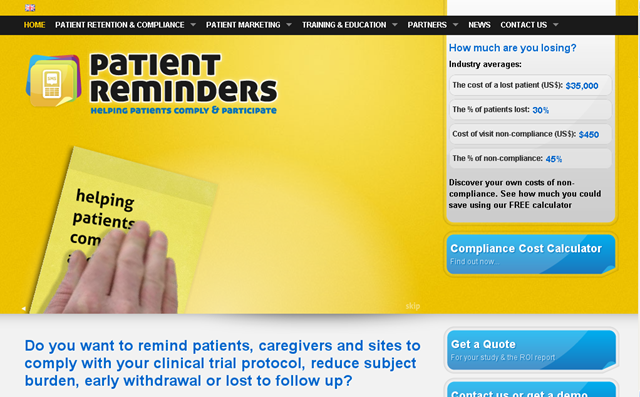 Patient Reminders Software, Increasing Customer Engagement & Retention For Your Practice. I recently undertook a post on a blog that I manage for my employer on a piece of software named Patient Reminders. It is a piece of software that can be deployed as part of a practice management suite that I really feel could deliver real benefit to any Health Practice in their Practice Management Strategy. The software is named Patient Reminders and is deployed as a net based system. I believe the software has the ability to be extremely beneficial to any Health Practice organization. The software can be deployed in a way that will bring both tactical and long term strategic benefits to any Practice Management operations. The idea in deployment would be to automate a schedule of text messages to be delivered, the core content of the text messages would be automated appointment reminders to assist in your set Patient journey/follow up schedule. This should and could include initial test appointments and no sale follow up messages. You can also utilise the text messaging service as part of your standard marketing endeavours, notifying Patients of relevant offers or ongoing campaigns, carefully customised to them. Increasing Appointment Compliance by 40%? It also has the benefit of cutting down on paper use and postage costs, you can also be reasonably sure that your carefully designed message is in fact been read by your target audience. I read an interesting statistic recently that has real bearing on our industry among many others. It stated that in the US up to 44% of direct marketing mail went unread? I also noted with interest while I was researching this software, a study released by the NHS that stated that compliance with appointments had increased by 40% with the introduction of an automated sms reminder system. From the date of fitting, the system automatically builds the perfect visit schedule. Messages are sent to patients at the correct time in the local language and font. Languages such as Hebrew, Russian and Chinese are supported as standard making it a global solution. The solution can be designed to include the Practitioners/Retailers name, website and phone number within the message sign-off, ensuring complete ease of use, encouraging the patient to call and book the appointment or product demonstration. The data is encrypted and secured on the Patient Reminders servers. This solution has been designed for the clinical trials industry. They are HIPPA, EU privacy Directive, Safe Harbor and CAN SPAM compliant. Data is never shared or divulged.